Jasmin has finished the chart for the bottom of the Anna cardigan, and now it is at the autopilot place. She used the numbers from Handy Book of Sweater Patterns. Gigi sewed buttons on the top of the zipper to secure the top. Gigi has made great progress on the Polygon blanket, by TincanKnits out of Black Trillium Fibres, Sublime DK superwash merino Gradient kits in Coral, Tidewater and Ursa. Jasmin wants to work on it, too. We have been rinsing yarn, to prevent bleeding after things have been knitted. Jasmin is singing the praises of Aunt Lydia's Crochet Cotton. Jasmin wants to knit Moonraker, Gigi hasn't made up her mind yet. Lollipop Yarns is sending a kit to give away. Jasmin made up an Instagram contest: #BondKnitmoreBond: Sing a snippet of a Bond song, post a spy-related picture. Make it interesting, make it fun, and remember to hashtag it! Gigi has started the Pop blanket #blanketstatement. Jasmin has made some progress on the Gone Astray cardigan, and is working on the sleeves. Gigi has been working on the Skandinavian sock from Little Box of Socks, has finished the first one and started the second one. Jasmin has been working on her Creepy Crawley socks out of some yarn from from Knitmona that is a lovely Halloween self striping yarn. They are her purse project now. Gigi is still knitting preemie hats. She has ends woven in, and pictures taken. Jasmin got a Black Trillium “frank it up” kit to knit a Poly Chevron cowl. Wash it first. (wash your yarn the way you're going to wash the finished garment). Jasmin is in love with Beyond Clean. She is test knitting the Hamil-hat. 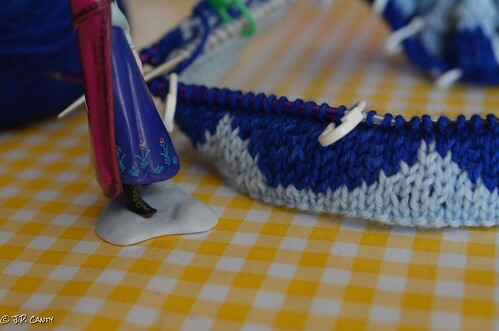 Gigi managed to skip one stitch, which messed up the whole row of Fair Isle, so she had to carefully tink back. This week we are purloining " What I learned" from Teaching your Brain to Knit", hosted by Catherine and Margaret. Gigi learned to do the pinhole cast on. 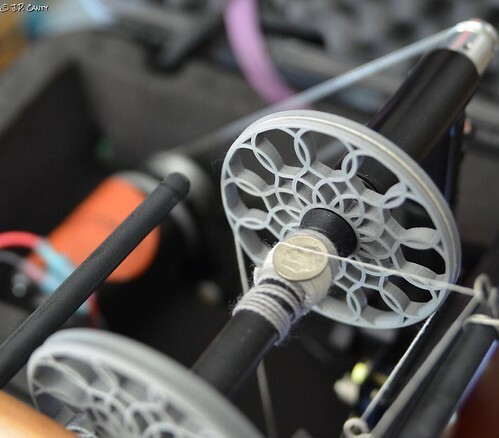 Spinzilla is coming! 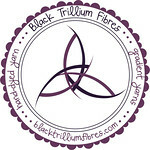 #spinzilla and we're spinning on team Team Purlescence Textile Witches. Gigi is sewing fleece hats in lots of different sizes. from Fleece Hat Friends. Jasmin has worked some more on the Bifrost, and is utterly happy with how it is turning out. Gigi has been working on the Scandinavian Socks from Little Box of Socks and feels clumsy. Jasmin suggested she borrow the Yarn Guide. She finds that practice improves her technique. Susan B. Anderson has suggested it on her blog. and she crocheted a flower on one of them out of a Nicky Epstein book. We talk some more about test knitting. Jasmin noticed that she was wrong. She mentions the lovely hat Emily Straw designed, inspired by Hamilton. It is not on her ravelry page yet. 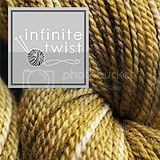 Jasmin wants to knit it out of Lisa Souza's Deluxe Sock in a continental blue and antique gold. There was excellent discussion on the board with regards to test knitting/sample knitting and pay. they are her purse project now, because even with bicycle clips, the Bifrost is getting too big to stuff in a purse. Gigi is working on the Polygon blanket, by Tincanknits, out of Black Trillium Fibres, Sublime DK superwash merino Gradient Kits, in the colors Coral, Tidewater, and Ursa. This is so addictive! Jasmin has started the first sleeve of the Gone Astray cardigan. We have a winner for #projectSweaterChest! The winner of a set of Oh Snap Bags is knknitter, for knitting a very impressive swatch. functional, and excellent for everyday wear. Kudos to the new CEO of F&W /General Manager of Interweave, Mr. Bolton for stepping up, addressing, and working to resolve the issues. Gigi finds her books terribly addicting and she is on her way to knitting her way through one and planning the next. We are planning to do a Hunter-along, after we participate in the #BigBadBergAlong. Also, it seems we are doing a blanket-along, #BlanketStatement. Jasmin has been spinning on the Device and the Acadia Wheel. She is also working on making some sparkly DIY bobbins for the Device. Once she has worked it out, she will write about it on her blog. Jasmin has been working on the Bifrost scarf , from Infinite Twist and is enjoying it tremendously. She also thinks this would be a great way to do an updated Dr. Who scarf. Gigi is announcing her formerly secret project :the Polygon blanket, by TincanKnits out of Black Trillium Fibres, in Sublime DK superwash merino gradient kits: Coral, Tidewater, Ursa. Each piece takes about one hour. 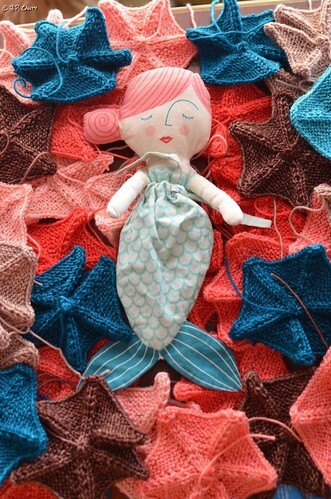 Each ball yields about 5 "starfish"
We are on a blanket kick and we also want to knit the Pop blanket, and the Vivid blanket out of yarn from Tess Yarns. We are reminiscing about knitting dish cloth blankets. Jasmin mentions Marly Bird's visible, decorative seams. Jasmin is making progress on the Anna sweater. She is enjoying the rhythm and progress a lot. Gigi is knitting the occasional preemie hat and trying to catch up on weaving in a gazillion ends. Operation Sockdrawer is up and running again, and we have a winner this week! #operationsockdrawer: The winner of a skein on Lisa Souza Deluxe Sock “Francoise” is AbbieN! The newest prize for #Projectsweaterchest is a set of Namaste mesh project bags. This week we talk about fiber artists being treated well, and be compensated fairly for their work. We mention Stephanie Pearl McPhee, Judith McKenzie, Rick Mondragon, Galina, Lily Chin, and the Philosophers. Please feel free to offer your views in the episode thread. Gigi managed to twist a cast on row on one of the hexagons for the blanket. On one piece, the cast on numbers were off. Jasmin has been spinning on the Device (#006DeviceTour #MissionQuestionable). Jasmin gives it her Schacht endorsement. She is spinning for the Incredibles' sweaters series (Hiro cardigans for the whole family) on the Infinite Twist Acadia wheel. Gigi worked on project bags. The sweatshop of love seems to be up and running again. She made piles of bags in anticipation of this year's #Grinchalong. Let's talk dirty. Imagine a wash that can clean anything from raw fleece to cloth diapers. Sounds like magic right? Well it's better than magic - it's UNICORN. And yes, it actually exists. 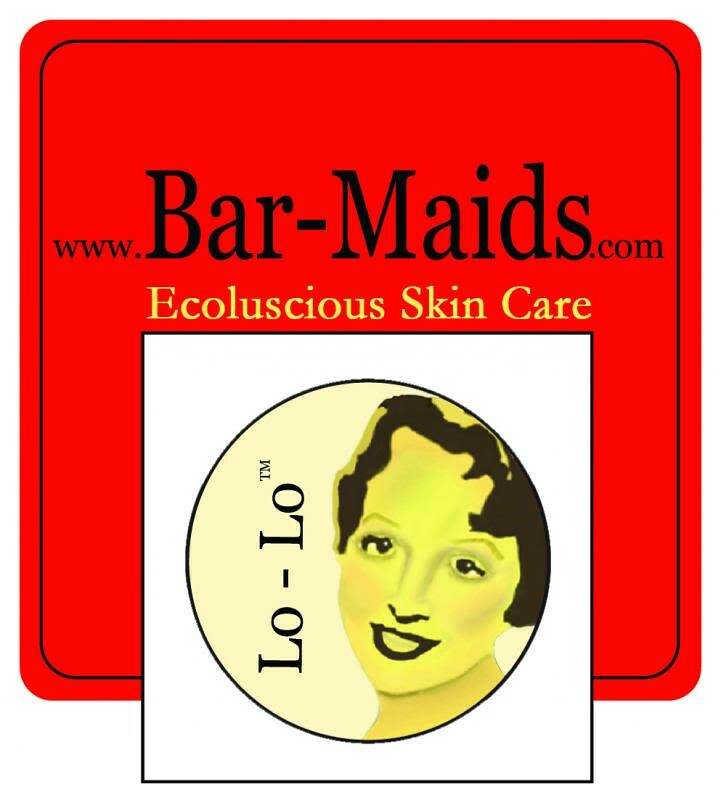 UNICORN is a earth friendly, biodegradable soap made in the USA. This small family run business is transforming our world into a Clean Happily Ever After one load of laundry at a time. UNICORN is a wash you have to experience to believe. Visit UnicornClean.com for free samples and Free Shipping thru September. Jasmin is working on the Bifrost scarf from a kit by Infinite Twist, and is about two thirds done. She loves using the bicycle clips. Gigi has been working on preemie hats and has had also had a request for newborn size hats, which are also sometimes needed. Our donations go to the Santa Clara Valley Medical Center NICU. 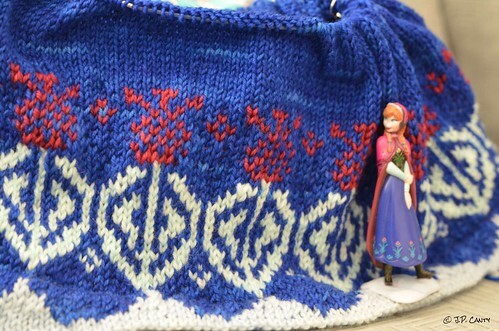 Jasmin has made some progress on the Anna sweater. Gigi has swatched for the Pop blanket by Tincanknits, out of Tess Yarns Rainbow mini skein gradient kit. 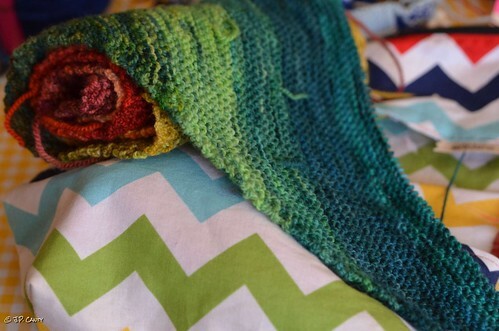 Jasmin is going to knit the Vivid blanket out of her Rainbow kit. There will be hashtags for instagram, and so you can follow our progress on #blanketstatement. We mention the Persian Tiles blanket. Gigi has been working on a secret project out of of Black Trillium Fibres, in Sublime DK Gradient kit superwash merino in the colors Coral, Tidewater, and Ursa. Jasmin has been working on the Gone astray cardigan and it is almost to the armholes. Also, she is making progress on the Live long and Prosper socks for Andrew. And she is thrilled that Susan B. Anderson tells you the weight for how much you need for heels in her Smooth Operator Socks pattern. Operation Sockdrawer is up and running again. 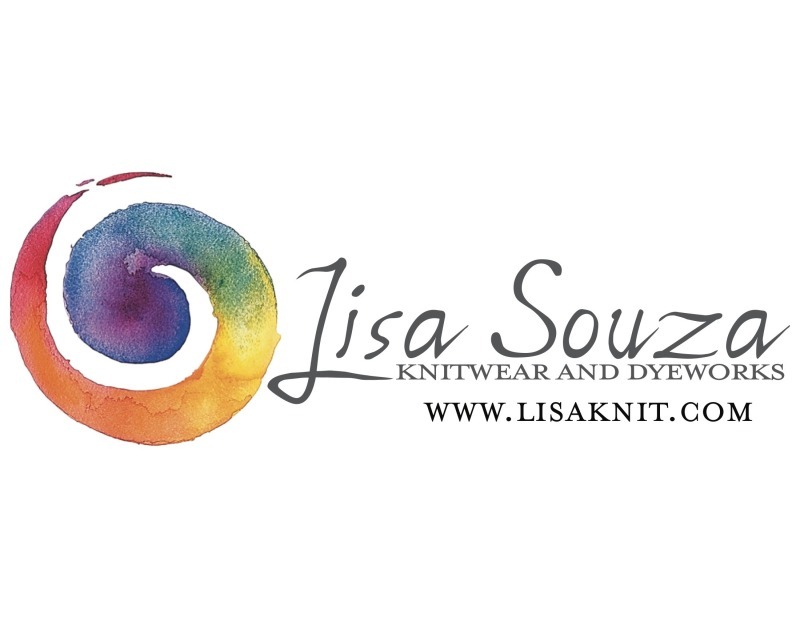 Our newest prize is a skein of sock yarn from Lisa Souza in the Francois colorway. We will announce a new prize for this contest next week. how to fix dropped stitches on finished knits. Gigi mentions her Frost Flowers shawl. Jasmin had too many rows on her Anna cardigan. She offers scripts for ripping out knitting. We have been spinning on "The Device" Jasmin is using some Lisa Souza superwash merino in the Wild Thing colorway. We mention the Akerworks lazy kate. Jasmin wound a Schacht plastic bobbin (on the Device!) to store singles. We did a periscope of us spinning on the Device. Jasmin wrestled with her sewing machine and oiled it to within and inch of its life. We worked on some more project bags. Gigi has exhumed the Scandinavian Socks from the Little Box of Socks by Charlene Schurch. And since she hadn't worked on it in years she was a bit lost as to where she was in the pattern. Jasmin suggested transcribing project notes onto her ravelry project page. Which Jasmin has done, which will come in very handy when she has to knit a larger size of the Elsa sweater. and she is excited about sweater weather coming up, so she can wear it. Also, she loves how the quilt clips/ bicycle clips hold the scarf neatly together while she is working on it. Jasmin wants to get projects to the grab and run out the door screaming stage. So she has picked up the Anna cardigan, which is based on Megknitficent's project out of Ann Budd's Handy Book of Sweater Patterns. The chart is from Anne Podlesak's Legendary Knits book, and it is knitted out of Lisa Souza Supersport. Gigi has been sewing in ends on preemie hats, making pompoms and attaching them. Jasmin suggests Operant Conditioning/Positive Reinforcement for weaving in ends. This week we answer a question out of the "What do you want to hear about? 'thread about etiquette regarding pattern writing and test knitters. Jasmin likes how thorough the instructions for the Smooth Operator Socks are, and that there is also a short, printer friendly pattern. Jasmin mentions Bonne Marie's amazing patterns. Gigi kept dropping stitches on her preemie hat. She also was working on the Copperplate cardigan. She had neglected to take good notes on where she stopped but had different counts on both sides of the front. Fudging it occurred to her, but she dismissed it, because it would be high on her chest, and highly noticeable. Boston Jen blew both Jasmin and Emily out of the water at Stash Dash. And she sent Jasmin a cowl! He also did a collection for Halo's of Hope (which we can't find now). Gigi has been fiddling with the brake mechanism on her spinning wheel to get proper uptake using a Woolee Winder. Jasmin has been making progress on spinning on the Acadia Wheel for her family set of Hiro sweaters. Jasmin wanted to work on Grinchalong back on her green Singer 185. but there were technical problems. Gigi has been sewing a bit on Halloween project bags. Also, she has been working with a young friend on a dress out of Sew Many Dresses. The plan is to sew the lining first to make sure the pattern fits before cutting into the linen for the dress.